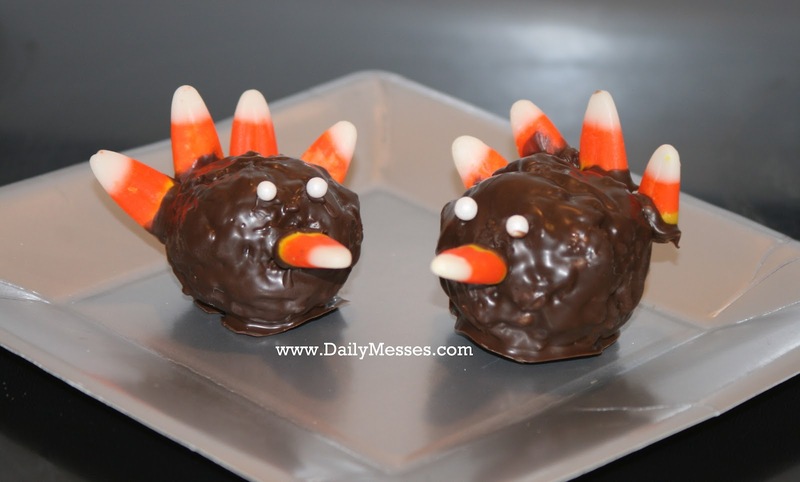 For a fun Thanksgiving dessert (or just because), make a batch of turkey rice cereal treats. These take about 1 to 1 1/2 hours to make. 1. 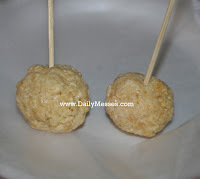 Make rice cereal treats. 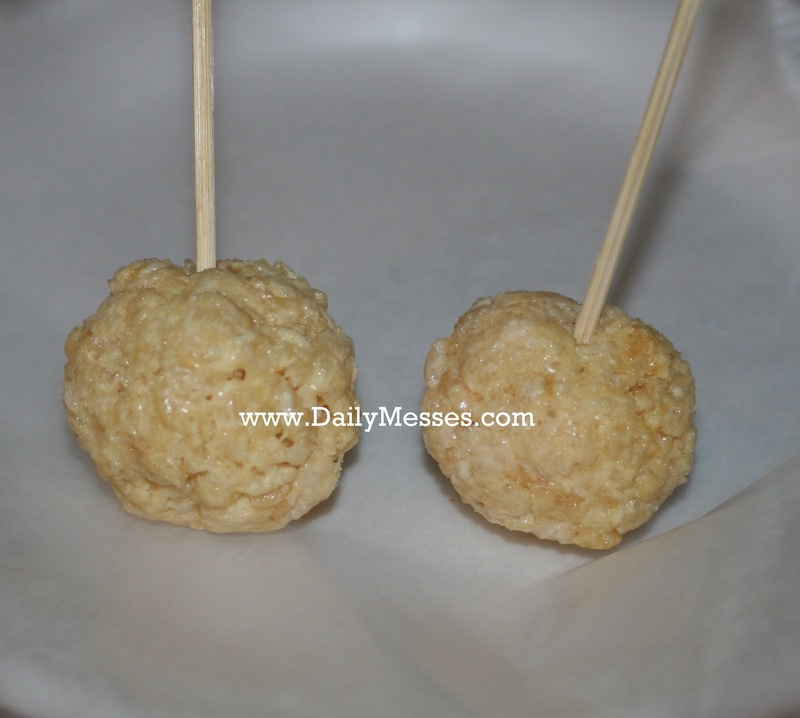 For more details on making rice cereal treats, check out my Rice Cereal Treats post. 2. Grease a 1/4 cup measuring cup and scoop out the warm cereal treat mix. Butter your hands and shape each scoop into a ball. Allow to cool. 3. Melt chocolate chips (or use Candy Melts). 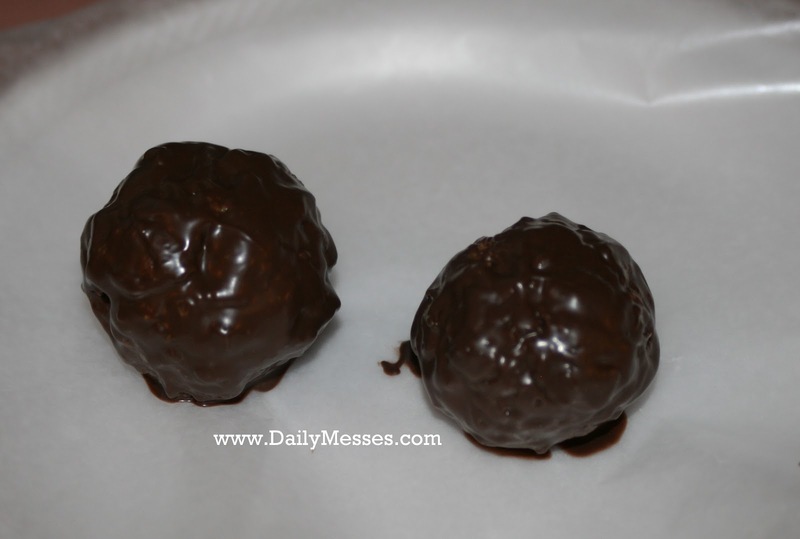 Dip ball into the melted chocolate. 4. 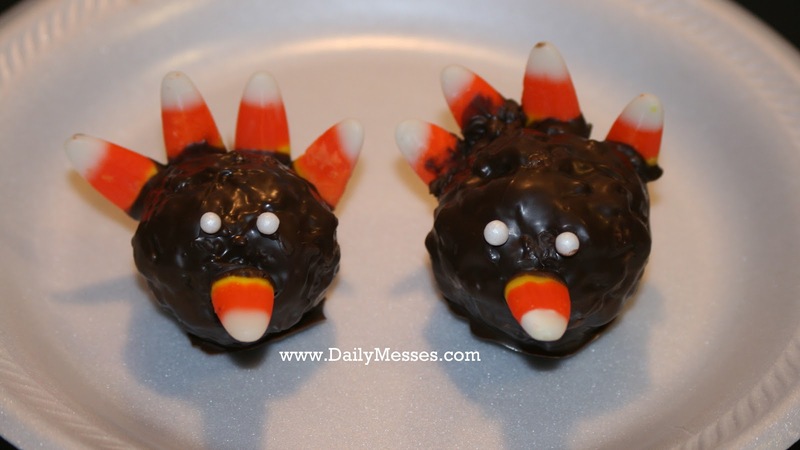 Decorate with candy corn for beak and tail. Use small round sprinkles for eyes. Allow to set. If you want, insert stick into bottom of cereal ball. DM Tip: For a super easy option, use pre-made cereal treats from the grocery store! You can unwrap, heat for a few seconds in the microwave to get soft again, and then mold into shape. DM Alternative: Make rice cereal treats. Press into greased baking pan and allow to cool. Use turkey shaped cookie cutters to cut out shapes. Remove from pan. Decorate and enjoy! Oh my goodness. Those look awesome! I will have to try them out soon!